This is a question I pondered while preparing this year’s DF McKenzie Lecture. 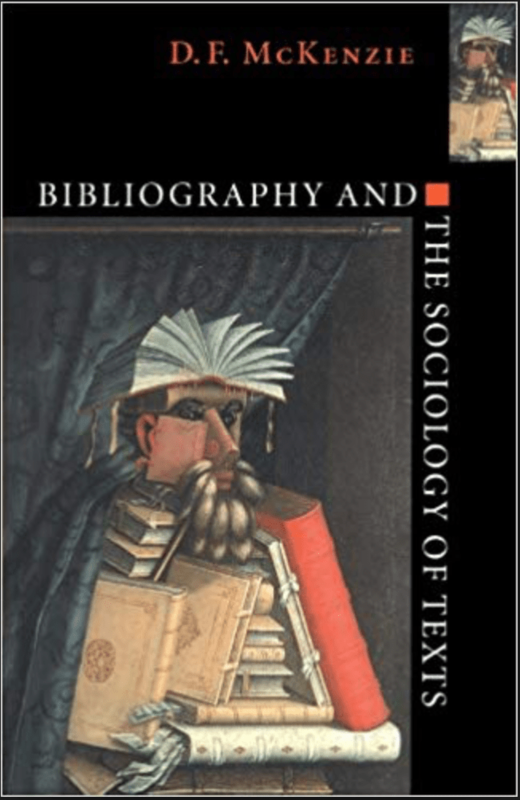 This lecture, organised by the Centre for the Study of the Boo k at the Bodleian Libraries, aims to discuss topics spanning the history of the book, scholarly editing and bibliography through to the sociology of texts. This range reflects the broad scholarship of Professor McKenzie (1931-1999) who was Professor of Bibliography and Textual Criticism at the University of Oxford. Although the psychology of reading does not feature directly in the aims of the lecture series, common to any aspect of the study of books is people. To borrow Pam Snow’s words, reading is a verb: people write, people read, and people interpret. How people ‘do’ is the core business of cognitive psychology; it follows from this that there are connections to be made between the psychology of reading and the study of the book more broadly, be it the study of the past or the present — or indeed predictions for how reading and language might change in the future in response to cultural changes in how and what we choose to communicate, cue #socialmedia #fakenews. My slides are here and a video of the lecture is available here. How people recognise words and understand text are questions that have inspired many experiments and research articles. Recently, Anne Castles, Kathy Rastle and I wrote an accessible review article summarising some of this literature, focussing on how children learn to read and the implications of this for the classroom. The paper is open access and free to download; most of the work I discussed in the lecture is detailed in our review, along with many other studies. In thinking more about the history of writing, I enjoyed re-reading Ong’s Orality and Literacy: The Technologizing of the Word and reading Saenger’s The Space Between Words: The Origins of Silent Reading. Many thanks to Kathy Rastle for introducing me to this book. Kathy talked about the nature of writing systems and how they influence reading behaviour in her thought-provoking Experimental Psychology Society Mid-Career Award Lecture ‘Writing Systems, Reading and Language’, presented to the Society in 2017. Her slides can be downloaded here along with her article, soon to be published in the Quarterly Journal of Experimental Psychology. [update: Kathy’s paper is now online at the journal] I was also reminded of one of my favourite reads of 2017, The Written World: The Power of Stories to Shape People, History and Civilisation by Martin Puchner. One topic I didn’t have time to cover in the lecture is how learning to read changes how people process spoken language, as discussed in this short editorial by Uta Frith (and here for one of my own experiments on this topic). Nor was there time to discuss how to support children who find learning to read difficult – a topic discussed by Maggie Snowling in her guest blog on this site. Well, this is not the case, as expertly debunked by Dr Matt Davis. Acknowledgements: Warm thanks to Professor Peter McDonald (St Hugh’s College, Oxford) and Dr Alexandra Franklin (Project Co-ordinator Bodleian Libraries Centre for the Study of the Book) for inviting me to deliver this year’s lecture and encouraging me to take some time to think and engage beyond traditional disciplinary boundaries. 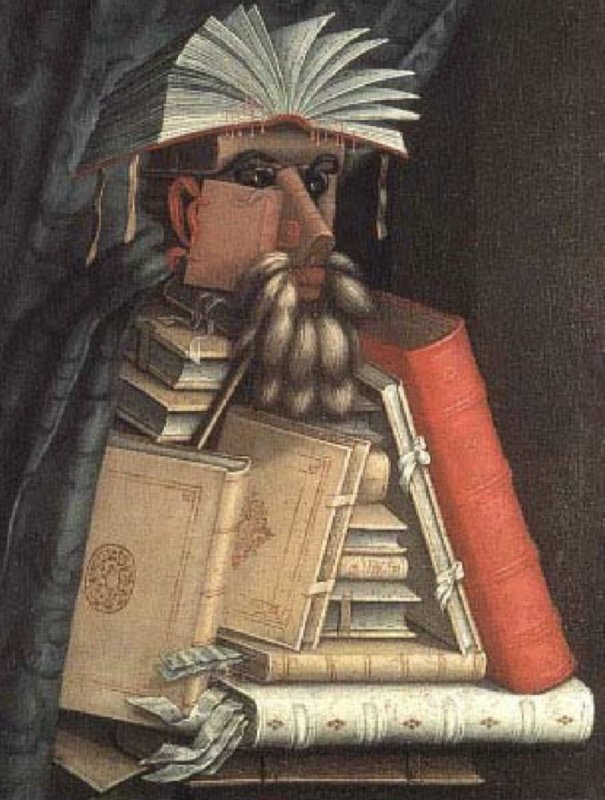 Picture credit: The Librarian, by Giuseppe Arcimboldo, c. 1556. Taken from the cover of DF McKenzie’s Bibliography and the Sociology of Texts, published by Cambridge University Press.